It’s Cuba time! Despite its well-known political situation, this Caribbean island nation has long attracted travelers due to its idyllic beaches, impressive colonial architecture, and interesting culture. As the country slowly opens up more and more to travelers, there are no shortage of things to discover about Cuba. Get ready to be surprised! To prove there’s plenty to see and do in Cuba for everyone, we asked a few fellow travel bloggers about their Cuba highlights. The result? 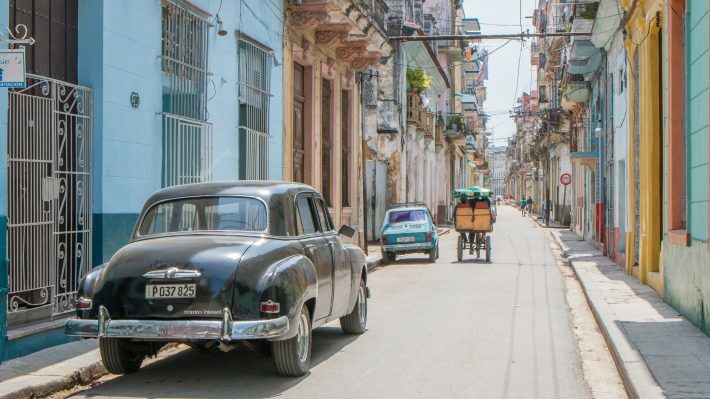 A collection of 12 hand-picked suggestions for your next trip to Cuba curated by travel experts. Let’s now dig into the 12 Cuba highlights. While it’s impossible to put all the unique places of Cuba in one basket and compare them, Trinidad is a sparkling gem amongst a bed of jewels. The Spanish colonial town remains in much the state of when it was built. Cobblestone streets lead you up small hills, between colorful colonial style buildings. If you manage past the front doors, you’ll find large open courtyards that shield you from the chaos of the streets. It’s a photographers paradise with an avid street scene at all hours of the day and night. If you like to dance and enjoy music, then you’re in for a treat. Music reverberates between the old buildings with a beat too impossible to resist and you’ll quickly find yourself moving to the rhythm of the beat. When you’ve had enough of the streets, the nearby options are plentiful. Take a catamaran to nearby Cayo Blanco for a desolate island delight of white sand and teal waters. Not up for a boat trip? You can still enjoy the beaches at nearby Playa Ancon, a resort type area with a stunning coastline. 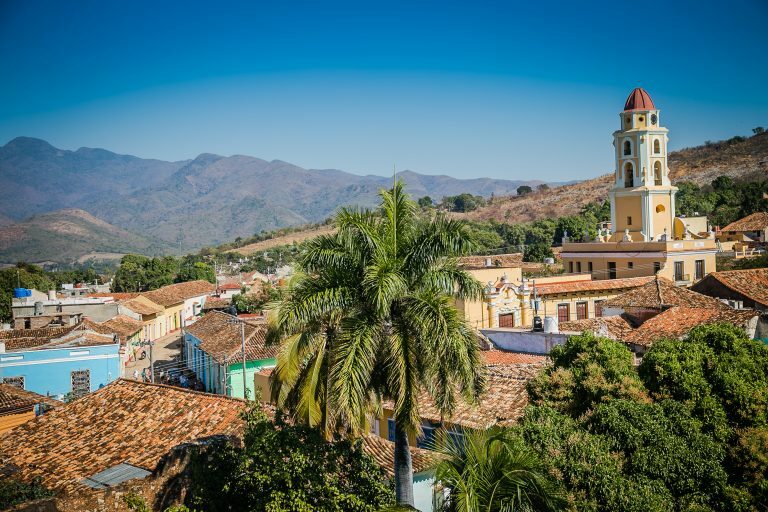 If you fancy more history, head off into the Valle de los Ingenios to learn about the once booming sugar cane trade, history of Cuba’s slavery and enjoy the simple farming life of the Cubans in the area. You can also enjoy horseback riding to waterfalls in this valley. Lastly, it’s an absolute must to head into the nature reserve of Topes de Collantes for an afternoon of hiking, chasing waterfalls, and birdwatching. While Cuba is often known for its cultural beauty, it was the natural beauty of Viñales that really charmed us as one of our favorite places on the island nation. Enormous limestone outcroppings soar up from lush pine forests and thriving tobacco farms. The stunning scenery makes for some particularly great hiking. But cycling around these inland mountains is another great way to experience the unique environment. Yet perhaps best of all, Cuban cowboys will gladly tour you around Viñales, not only get a closer look at the tobacco farms but to explore hidden caves. There are many caves throughout the mogotes, from wild caves you can explore on your own with a flashlight to caves that have been developed for tourism. In one such cave, you can even find a bar to cool off with a cerveza. Another cave offers a small boat trip through an underground river! And while we appreciate Viñales for the adventures that abound here, it’s the rich tobacco farming culture that has earned its UNESCO World Heritage Site designation. This is where some of the best tobacco in Cuba is farmed using traditional methods that date back to several centuries! Santa Clara might be Che Guevara’s final resting place, but we loved the city for a very different reason. In our opinion, Santa Clara is home to Cuba’s most edgy and cool bar. El Mejunje, as it’s called, is the only place to go once the sun goes down, and it is a blast from the second you step in the door. In Spanish, the name means “The Mixture” and we think that’s a pretty fitting name. Depending on which night of the week you go, you’ll see anything from a kids’ show to a gay disco. The bar is set in a run-down warehouse and the vibe is unpretentious with a touch of grungy. In a country that’s crazy about salsa, this is both brave and refreshing! Since the 1980s, El Mejunje has been fighting for LGBT rights and today, the club is a Santa Clara classic. Cienfuegos is a much slower paced city than Havana. It has a pretty main square and some good restaurants, but what really make the city stand out are the attractions nearby. There is plenty to do here, from soaking up history at the castle to swimming in natural pools and waterfalls at El Nicho and getting back to nature at the beautiful Laguna Guanaroca. Wander around the castle to learn about the history of piracy in the waters around the bay, or for something different, El Nicho is best visited with friends, and a bottle of rum to chill in the cool water! If you need some peace and quiet after the hustle & bustle of Havana, Laguna Guanaroca is a must. Take a boat out to see hundreds of flamingos, and sit back & relax as your guide rows you around the lake, enjoying the sound of water lapping against the boat, and the occasional squawk of a bird. Then in the evening head to the plaza to find live music & dancing – real Cuban style of course! Cienfuegos really has something for everyone, and should be on any Cuban itinerary! Accessible only by boat, Laguna del Tesoro is nestled in the heart of Boca de Guamá not far from The Bay of Pigs. Often overlooked in favor of big-ticket Cuban destinations such as Havana, Santa Clara and Trinidad this beautiful lake is a great place to visit if you want to experience something different. 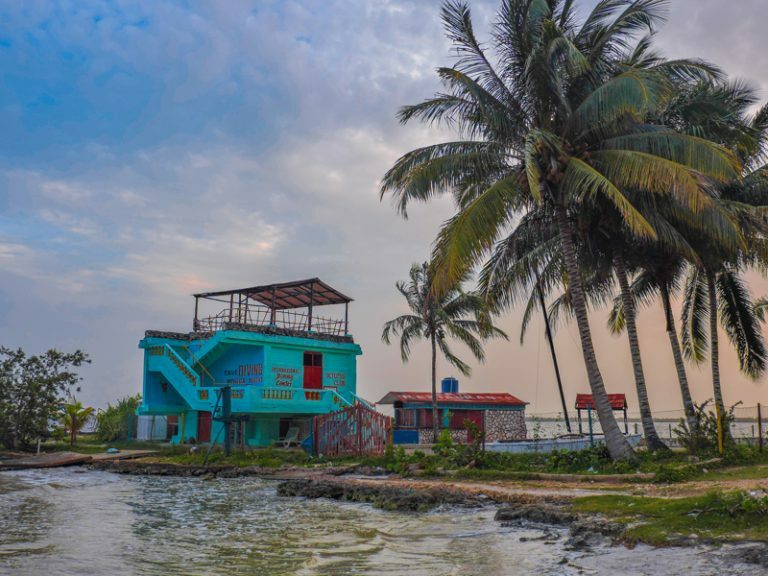 Once you’ve taken a boat, you can head to Villa Guamá, a resort located across a handful of small islands built to resemble a Taino Village (the indigenous people of the Caribbean and Florida) and you can learn about them and their way of life. 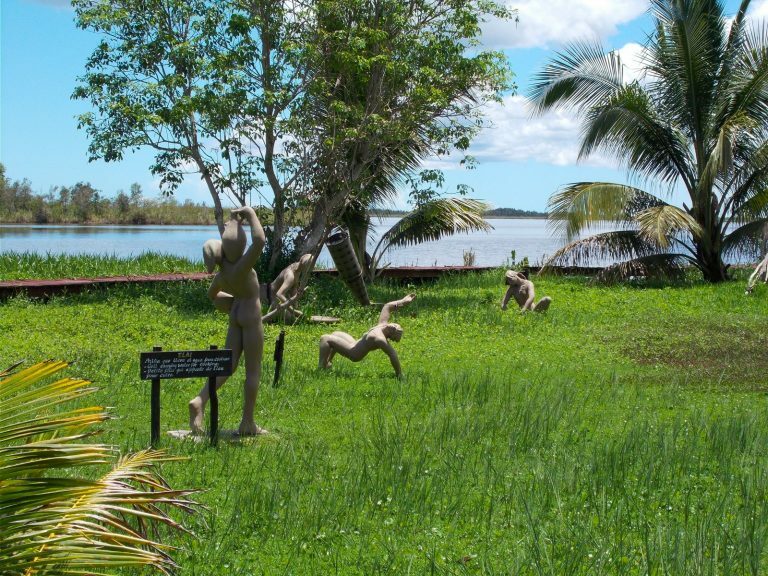 Next to the mock village sit 32 life-size sculptures depicting a range of poses to tell their story, set against the backdrop of the beautiful Laguna del Tesoro. A wonderful way to spend an afternoon. If you are looking to stay for longer, you can also stay in the circular thatched cabanas across the islands upon which Villa Guamá is situated – a perfect way to get away from the hustle and bustle of Havana! When I heard that Cuba had some of the best and cheapest (a favorite word for long-term backpackers!) scuba diving in the world I had to check it out. The Cuban dive site is located at Playa Larga near the famous Bay of Pigs site and what makes it so cheap? No boat required. You just kit up and walk into the dive with your instructor. We swam with the fishes in the turquoise waters of the Caribbean sea for 35 CUC / £22.76 each! The area of Playa Larga (and Caleton, where we stayed) doesn’t have too much to offer visitors but it is worth a one-night stop on the way Trinidad for the diving experience. Cuba should be on everyone’s bucket list and I thankfully crossed it off in 2016. I went to some of the best places in Cuba but my favorite was Playa Jibacoa a place I had never heard of before and one I found on accident. Cuba has great beaches but the best beach in Cuba hands down is Playa Jibacoa. No other beach compares! I found this slice of heaven while road tripping from Varadero back to Havana. Very few tourists now about it and it is basically empty. There aren’t many places in the world you can have a beach like this all to yourself. When in Cuba make sure to find your way to Playa Jibacoa. Remedios might be seen as a slightly smaller and less ‘touristy’ gem than Trinidad, but that only adds to its aura of authenticity. 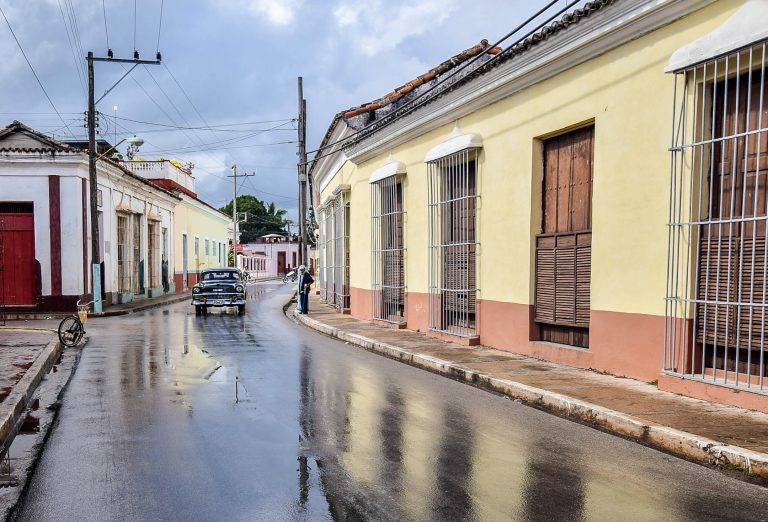 This well-preserved town, which is not far from the northern coast in the province of Villa Clara, dates back to 1515. Remedios is best known for its main church and its lively Christmas festival. The interior of the church of San Juan Bautista features a high, gilded wood altar and an elaborate beamed mahogany ceiling. Legend has it that the Christmas festival, called Les Parrandas, began when the parish priest sent kids into the street banging drums to wake people up for mass. Now, it’s a noisy party that gets underway early in December and ends on Christmas Eve with floats, fireworks and brass bands. The real charm of the town is to be found in wandering the streets lined with faded colonial buildings, and perhaps dropping into the local bar or library along with the local residents. Remedios is well worth a day trip for a small town experience off the beaten track. 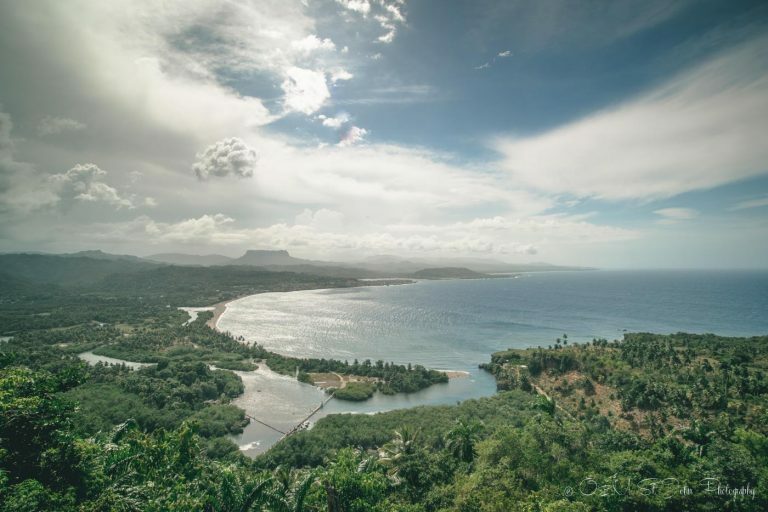 Not a lot of tourists make their way to Cuba’s most eastern point, the small town of Baracoa, but those that make it down the winding bumpy road, often consider their time in Baracoa to be the highlight of their trip to Cuba. There is not a whole lot to do in the town itself, but most visitors head straight for the outskirts, keen to explore the Alejandro Humboldt National Park, to basque in the sun at Playa Maguana and Playa Blanca, or admire the views from the top of El Yunque mountain. Expect a relaxed vibe, great views, and some of the friendliest locals you will come across in Cuba. It’s the perfect place to let your tourist dollars contribute to the local economy! Havana is the true essence of Cuba. It’s the capital, the economic and cultural center, the largest city and the place where the main port is located. It is also one of the most beautiful cities in the world and the old town with its fortifications was declared a UNESCO World Heritage Site. At the beginning of the XVI century, the port of Havana welcomed vessels circulating in the navigation route that came from the Bahamas, carrying valuable wealth in gold and silver. Due to attacks by pirates, its defensive complex of walls was erected. Even with the defensive system, Havana was taken by the English. Only when the Spanish reoccupied the city the walls were modernized. 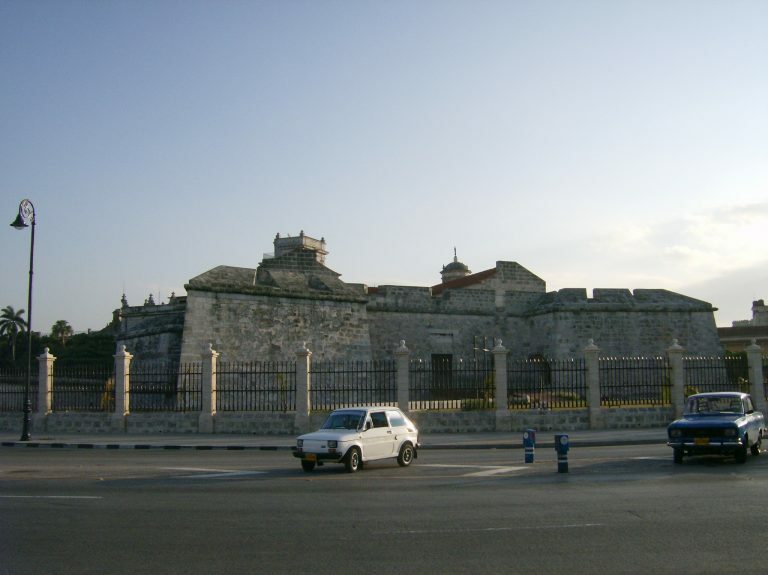 Currently, when visiting Havana you can visit several of these fortifications, they are delimiting the old city. Inside them, in the historic center, there are large squares, baroque and neoclassical monuments and buildings with arcades, balconies, iron gates and interior courtyards. The atmosphere is charming. I recommend walking around the old town and go through the streets. Havana seems to invite you to the good side of life, with hot rhythms and the colorful facades of the houses. It’s difficult to pick a favorite place in Cuba, but one of ours ended up being a restaurant in Havana called La Guarida. We love traveling for food, and I’d heard they had great food, but that’s not the main reason we loved it. When we pulled up outside in a taxi, we momentarily questioned our choice to dine there. 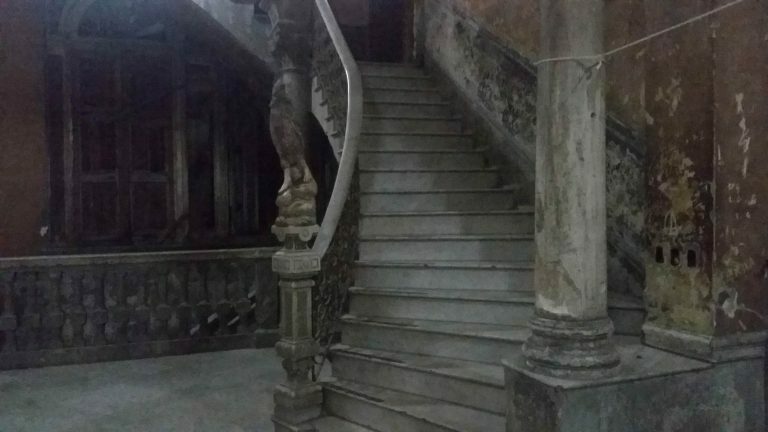 The restaurant is located in a hauntingly beautiful shell of a building, on the 3rd floor, with a cracked and crumbling grand staircase leading up to it and ropes holding up the pillars. I can honestly say I’ve never seen anything quite like it. The whole experience was enchanting, It was a place frozen in time. So many grandiose buildings like this one have been neglected and are crumbling before your eyes. In another world, that building would have been condemned and boarded up long ago, but in Havana, up on the 3rd floor is a modern, lively restaurant packed with people drinking mojitos and nibbling on gastronomic delights. 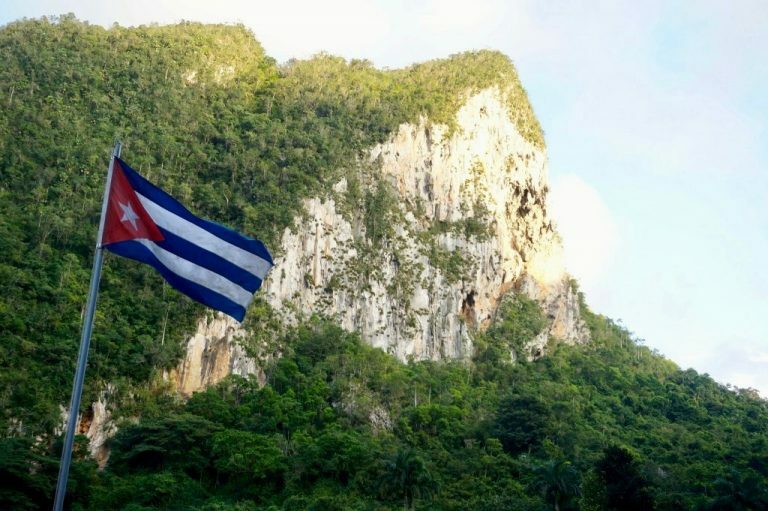 The Sierra Maestra has a special place in Cuban history since it is known as the birthplace of the revolution led by Fidel Castro, but also as the country’s longest and highest mountain range. 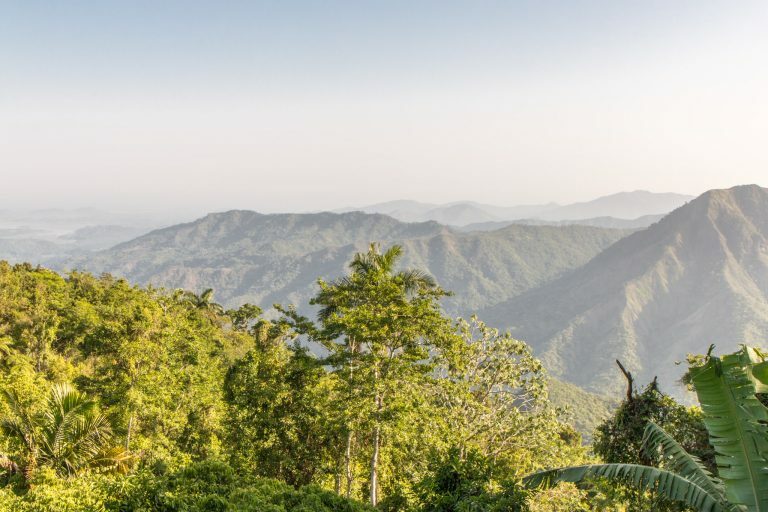 With over 250 km in length and the highest point of 1974 m at Pico Turquino, Sierra Maestra is a beautiful place to visit in the southeastern part of Cuba and a very different version of the country not a lot of travelers get to see. A trip to the Sierra Maestra is the perfect idea for nature and outdoor lovers that enjoy hiking and there are two main routes to follow, Comandancia de La Plata and Pico Turquino. 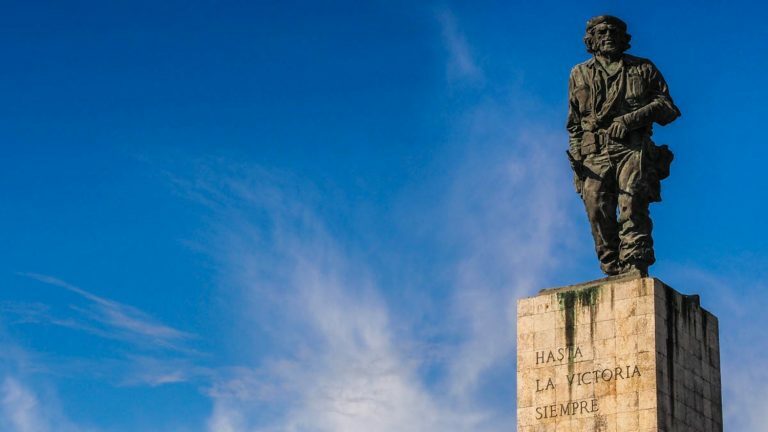 The first is a half-day hike to the rebel headquarters, starting at Alto del Naranjo, which passes through many of the important buildings such as Fidel’s house and Radio Rebelde. The second is Pico Turquino, a two-day hike through the mountains that passes through the highest point in Cuba. One minor caveat is that a guide is required to hike in the Sierra Maestra, which can be arranged with the Parque Nacional Turquino. Do you want to see more photos from Cuba? Check our Cuba gallery. Are you planning to travel to Cuba? 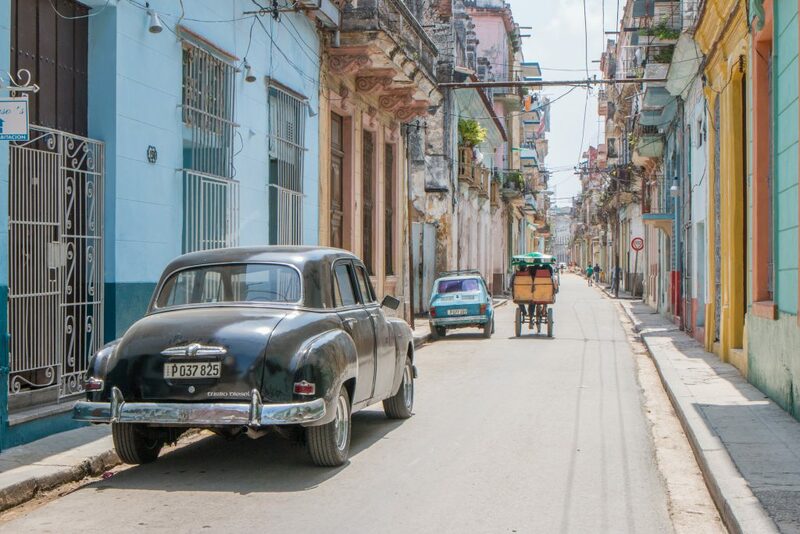 Which of the Cuba highlights are you looking to visit the most? I’ve wanted to visit Havana for its history for some time, but there are definitely some additional places to add from this list! Cuba is so lively and magnificent, Hugo and Cristina! I will know the highlight when I go there! Indeed! Hope you make it there. We have not yet visited Cuba, but will be spending some time in the Caribbean later this year. It seems to be a very diverse island with lots of places to see and things to do. The beach at Jibacoa looks fantastic as does wandering the streets of Remedios. I will have to see if our itinerary allows us to take a detour to check out what Cuba has to offer. Hope you make it there. It’s worth it! Enjoyed the variety of photos of Cuba in this post. I’ve seen a lot of city photos before (mostly Havana), but had never seen all the natural beauties, like the lake or the limestone cliffs. It’s good to know it’s such a diverse place to visit! Definitely most interested in diving with caving being a close second. We have heard that Castro was an avid scuba diving and did everything within his considerable power to ensure the health of his coral reefs. Great list, I’ve still a few to do! Thanks for featuring us. The countryside is the best! We were just talking of Cuba! Its so European in its vibe, isn’t it? Would definitely be the first place we visit when we plan a trip to this continent. I wish I’d read this before my son and his girlfriend visited Cuba. These sound like some amazing places. I will definitely be saving this for my own trip there. Lots of great suggestions! I would love to make it to Cuba someday soon. 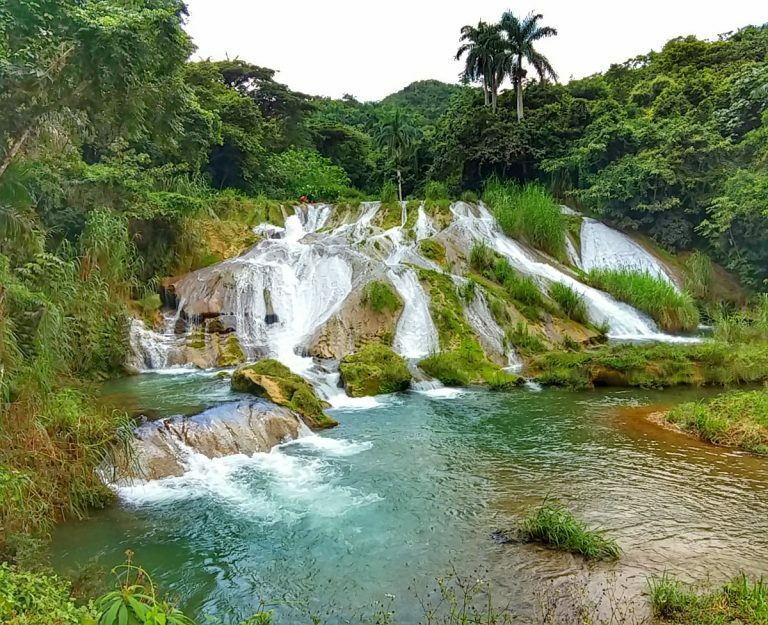 All of these spots sound great, but I especially like the idea of the waterfalls near Cienfuegos and Sierra Maestra Mountains–would be so much fun to do some hiking there! We hiked there and was wonderful. Highly recommended! Cool to see that Cuba has so many natural beauties! After reading this post I will have to reconsider Cuba and add it to my wish list. Pinning your post for future use! Cuba has a lot of natural places to visit and most people have no clue! So glad I came across this post! I’m always saying that I need to go to Cuba, but it’s definitely about time to really do it! Great collection of highlights, I’m bookmarking this one!